Big Data in Drug Discovery and Healthcare: What is the Tipping Point? What good is big data for drug discovery? Not much, if you ask the pharmaceutical industry. The world’s drugmakers have other challenges right now and, with a few notable exceptions like PatientsLikeMe, neither consumer-driven nor patient-driven “big data” seems to be part of the solution. Even in the apparently more data-driven field of healthcare services, big data keeps bumping up against regulatory and practical barriers. As I wrote earlier this month, a funny thing happened to 23andme on the way to its now-on-hold million-person database…. 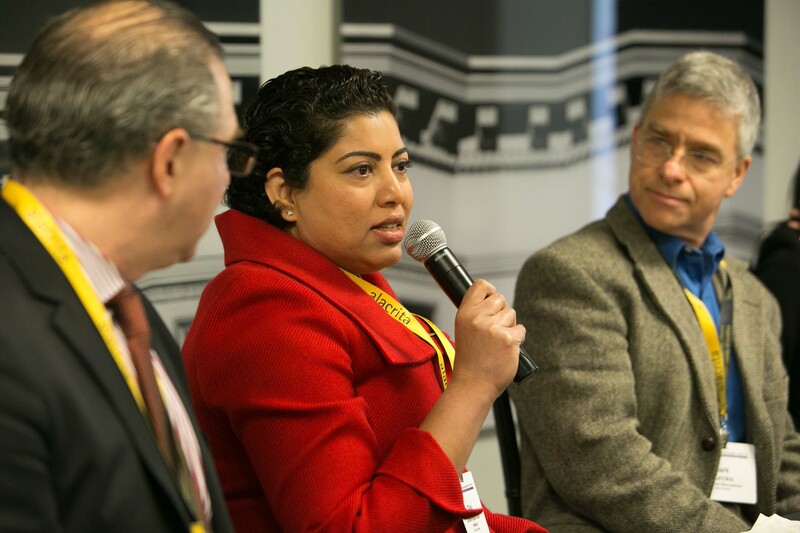 A recent panel of experts argued that trends in big data will drive up its relevance and provide a navigable path toward greater utility both in pharma and in healthcare. The panelists at the workshop I put together for the 2014 Biotech Showcase in San Francisco last week hinted that the time will soon come when “big data” is as much a part of both drug discovery and healthcare as it is of financial forecasting and choosing driving routes that minimize traffic. The companies that presented are NuMedii, a venture-backed company that calls itself a “digital pharma company” tackling drug discovery itself; and CancerIQ, a data analytics company focusing on aggregating data on how cancer patients are treated and using it to upgrade the treatment that can be provided in different geographies and types of hospitals. Joining the CEOs of NuMedii and CancerIQ were Ajit Singh, a venture capitalist with Artiman Ventures who taught electrical engineering and neuroscience at Princeton and then ran global businesses for Siemens in oncology and digital radiology; and Mark Murcko, the former chief technology officer of Vertex Pharmaceuticals who is now running a consulting firm and advising computer-powered drug discovery firms such as Schrodinger and Nimbus Discovery. 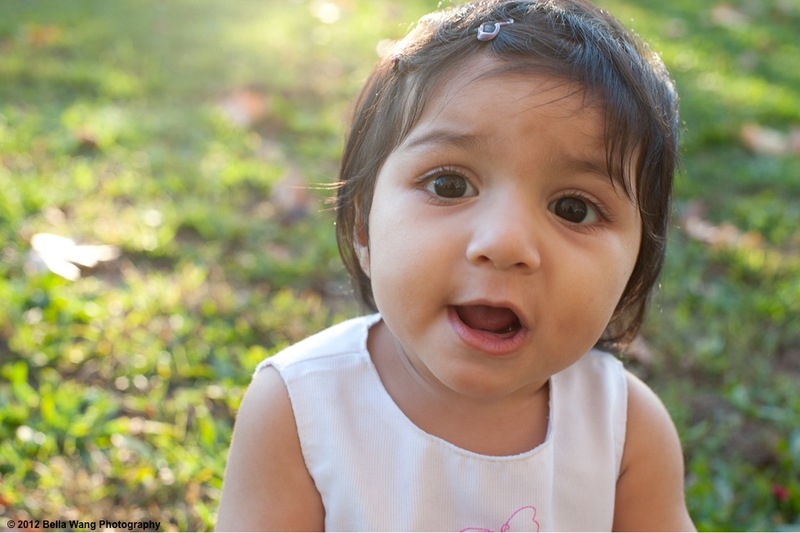 A year ago, Boston-area medical device entrepreneur Sameer Sabir and his wife Nada Siddiqui received the most devastating news a parent could imagine: their infant daughter, Rehma, had passed away. Rehma was at home with her nanny on January 14, 2013. In the late afternoon, emergency services responded to the home after a call that Rehma had suffered an apparent seizure. Rehma was rushed to Boston Children’s Hospital. Despite the staff’s enormous efforts to save her, Rehma passed away on January 16, 2013, two days after her first birthday. As explained in the Boston Globe’s coverage, the nanny was charged with first-degree murder after the Office of the Chief Medical Examiner conducted an autopsy and ruled the death a homicide. It is an understatement to say that this has been a difficult year for Sabir and Siddiqui. They are still very much in the midst of dealing with the profound consequences of the loss of their daughter. Yet, despite their grief, they have decided to take action in Rehma’s memory and help support a unique, new platform for medical education. The fund recently decided to support an innovative and powerful medical education resource that has the potential to make a positive difference for parents and physicians around the world. The program, OPENPediatrics or OPENPeds, is currently in beta testing. It was developed through a collaboration between Boston’s Children Hospital, the World Federation of Pediatric Intensive and Critical Care Societies, and Cambridge-based IBM labs. OPENPeds was conceived by Dr. Jeff Burns of Boston Children’s Hospital, whose team was responsible for Rehma’s care. Rehma was treated by experts in the pediatric intensive care unit (PICU) during her time at BCH. In spite of a global need for this kind of expertise, only a select number of PICUs exist. OPENPeds was designed to close this gap by offering an open-access, peer-reviewed, not-for-profit platform to facilitate collective knowledge exchange among pediatric care providers, especially those operating outside of the expertise of PICUs. To ensure OPENPeds equips practitioners with the tools they need most, the curriculum is based on the results of a survey, completed by over four hundred pediatric critical care providers from fifty-four countries as well as on World Health Organization data on the leading causes of mortality in children. In addition to this survey-based core curriculum, the Rehma Fund has contributed resources for a Non-Accidental Trauma Module. This module aims to increase quality of care for children who have been the victims of non-accidental trauma. In addition to providing expertise for those patients, the Rehma Fund and OPENPeds also aim to increase awareness of non-accidental trauma in hopes of preventing future injuries. They explained their decision in this video, which they posted last week on what would have been Rehma’s second birthday. OPENPeds prides itself on high-quality content. The program has been working with physicians all over the world to generate material for the site. The purpose of this is twofold. First, OPENPeds aims to find doctors who are practicing experts in the field for which OPENPeds is developing content. For example, a physician from Boston Children’s Hospital likely would not have extensive experience with pediatric HIV or malaria. The other reason OPENPeds recruits doctors from around the world is to ensure this platform is truly being created for a global community, by a global community. “We recognize that we don’t have all the information, and we don’t want it to be a ‘West to the Rest’ concept,” OPENPeds’ Program Manager, Bridget Koryak, explains. The quality of information on OPENPeds is comparable to that found in peer-reviewed journals, but the content is presented in a more dynamic format. OPENPeds has worked closely with experts in Internet-based education technology from both MIT’s OpenCourseWare and the Harvard Graduate School of Education to apply a growing body of knowledge regarding how adults learn. One result is that much of the learning on OPENPeds is interactive. For example, users are challenged to actively apply their knowledge through interactive training modules. 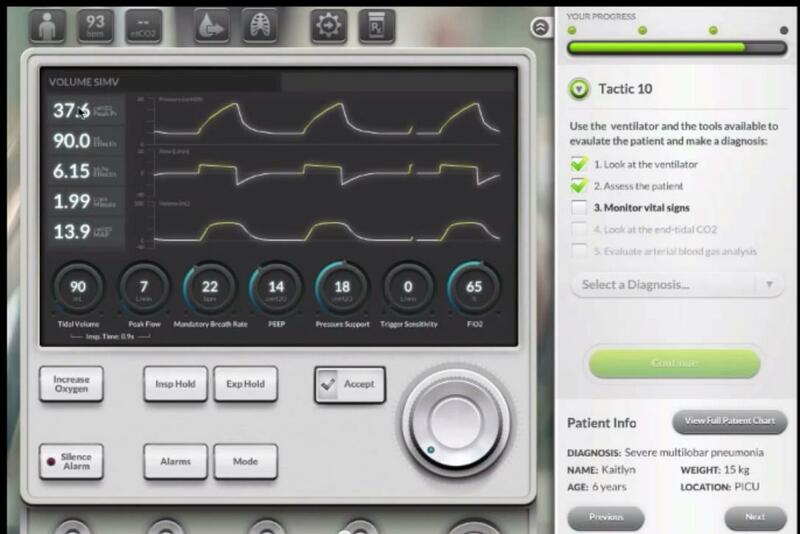 Physicians training on an OPENPeds “virtual ventilator” can see how their actions change simulated patients’ responses. OPENPeds is a unique program, described by partner IBM as the “world’s first cloud-based global education technology platform,” but it will be complementing some existing companies in the digital medical education space. For example, physicians can already subscribe to a service called UpToDate to find comprehensive summaries of cutting-edge medical knowledge in a wide range of specialties, including general pediatrics and adult and pediatric emergency medicine. Two key differences between UpToDate and OPENPeds are format and access: unlike the interactive learning platform used by OPENPeds, UpToDate is primarily literature-based. And unlike OPENPeds’ open access, UpToDate is based on the more traditional paid subscription model. One physician at a large teaching hospital said that OPENPeds is likely to be widely used, especially by trainees. Up to Date provides incredibly comprehensive information, this physician said, but it sometimes provides too much information to quickly digest. Since its launch in September 2012, OPENPeds Beta has already reached over 1,000 users in 70 countries. During early planning, OPENPeds creators imagined this tool as a way to deliver cloud-based medical education to doctors in remote regions. The OPENPeds team was surprised to find strong domestic uptake. It was even being used by physicians in Boston. OPENPeds has turned out to benefit professionals at institutions ranging from rural hospitals in underserved communities to major regional centers. In this way, even before its official launch, OPENPeds is already serving as an equalizer. Regardless of a hospital’s size, location or resources, OPENPeds levels the playing field by giving everyone access to the same high-quality information. The OPENPeds team is optimistic about the future, but well aware of the obstacles they face. One issue is connectivity. In order for OPENPeds to reach the wide global audience they have in mind, doctors in remote areas must be able to access the information. To get around this issue, the beta release of OPENPeds was a program that doctors could download once, and then update whenever connectivity permitted. However, user feedback has shown that hospital firewalls often prevent doctors from downloading information directly to their computers. Therefore, OPENPeds is switching to a cloud-based platform to circumvent issues with downloads, but the program will still offer a downloadable version for physicians with limited connectivity. Another obstacle is the language barrier. Modules in other languages are on the way, starting with Spanish. OPENPeds’ videos also have rolling transcripts to help physicians who are non-native English speakers. 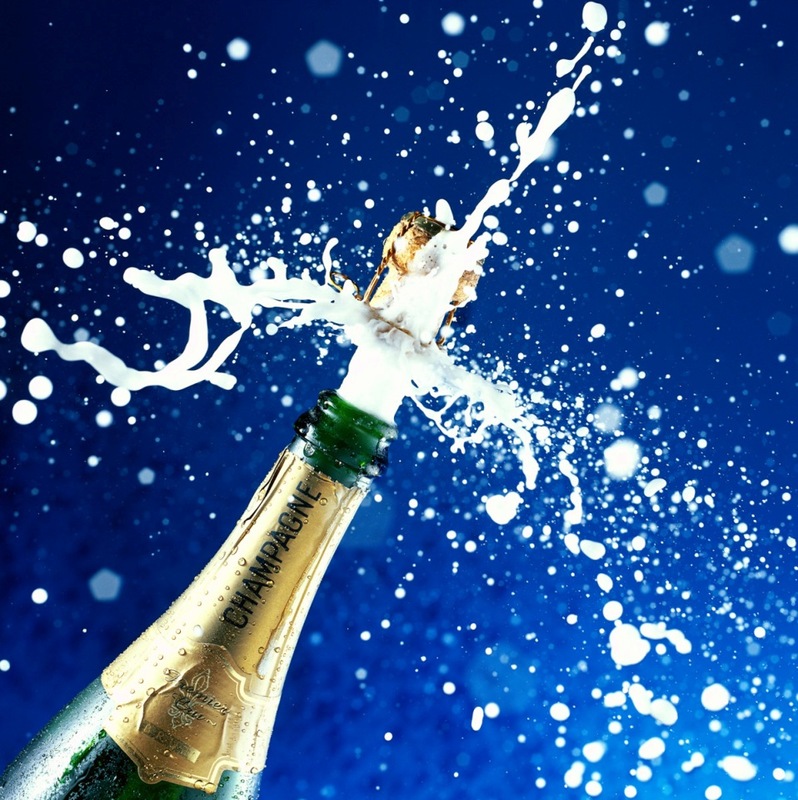 OPENPeds has ambitious plans for 2014. The spring will see the release of OPENPeds version 1, along with the release of the non-accidental trauma module. OPENPeds plans to expand its content beyond just critical care to include other pediatric specialties, and will soon be launching both pediatric urology and additional pediatric nursing materials. It is also investigating the possibility of adding a feature that will allow users to directly contact an experienced physician in emergency situations. As a high-quality, Harvard-affiliated program, OPENPeds could potentially spin off into a for-profit startup, but for the moment there are no plans to depart from its original mission to provide free content to pediatric care providers across the world. In the rapidly expanding landscape of online learning tools for physicians, OPENPeds has several unique attributes so far not duplicated elsewhere: its focus on pediatrics; its lineup of top physicians as speakers and demonstrators; its incorporation of online learning techniques based on up-to-the-minute research about how adults learn; and its non-profit organizational model. By using both interactive techniques as well as highest-quality medical experts, OPENPeds has set itself apart from more conventional approaches to medical education. Given the subsidies and contributions (including those from the Rehma Fund) that make the platform free to users, and its focus on the typically not very lucrative specialty of pediatrics, it currently seems to have no private sector competitors. However, competition may soon be on the way. According to an article that appeared on January 15 on TechCrunch, 2013 saw $1.9 billion in VC funding for early stage healthcare software and app technology, a 39% increase over 2012. The Rehma Fund will continue to raise funds and consider investing them into expanding the non-accidental trauma module, translating their content into other languages, and possibly creating other modules. Much will depend on the uptake of the initial release and anecdotes showing that it has indeed been an equalizer. *Megan Krench is a PhD candidate in the Department of Brain and Cognitive Sciences at MIT, where she studies the genetics and biology of neurodegenerative diseases. Follow her on Twitter: @mkrench. There was a flood of news in late November about the stinging letter that Mountain View, California-based 23andme received from the U.S. Food and Drug Administration (FDA). Because it ignored FDA instead of continuing a years-long dialogue, 23andme was forced, over howls of protest, to stop selling its direct-to-consumer genetic testing panel. Almost lost in the controversy was the company’s now derailed core strategy: to collect a million customers’ worth of genetic data, then mine the data for valuable insights that can give the company an insurmountable competitive advantage. You could try to convince me that the strategy is moot now that 23andme has run into a brick wall at FDA. That aggregating data as a way both to derive medical benefit and to make money is now as dead as 23andme’s consumer genetics business. But I would push back. I think this regulatory battle, which 23andme has apparently lost in a rout, is just the first skirmish in what promises to be a game played over a much longer term and at much higher stakes. More about that below. A year before the FDA’s letter, 23andme cut the price of its service to $99 and announced that it would attempt to reach one million customers by the end of 2013 after attracting only a reported 180,000 in its first six years on the market. In my view, this change in business model explains much. The test used to cost $699, then $299 and, despite economies of scale, it is hard to imagine that 23andme was making much money selling it for $99. In my view, what stood behind this shift is the same widespread belief that informs much of the research being done on longer genome sequences: that the aggregation of enough “Big Data” will yield insights more valuable – and profitable – than anything that genomics has yielded until now. This is why BGI in China, in its Million Human Genomes project, is attempting to sequence more genomes faster than has ever been done before. It is also why Foundation Medicine has raised over $200 million in venture funding and IPO financing to be the first to market with a 200-gene test for cancer. Foundation does not simply want to be a first mover in massive sequencing of cancer genomes. As I have written before, I believe that it wants both the data that patients will provide as well as the high-margin revenue that will come from providing sequences of the relevant genetic segments at $5,000 or so per patient. It remains to be seen if it will get either the data or the revenue. I beg to differ. I do not think 23andme was that foolish. I think that by flagrantly waving its tests in the face of FDA, even going so far as to run national TV ads for them while spending six months not returning FDA’s calls, the company sought out the chance to challenge the very idea of its test being regulated as a medical device. You might try to persuade me that 23andme acted inattentively or naively when it gave FDA the cold shoulder. That is the argument made in The New Yorker blog on Nov. 27, 2013, by 23andme co-founder Linda Avey, who left the company in 2009. The FDA decision “…surprised me,” she told the New Yorker writer David Dobbs. “But she pointed out,” wrote Dobbs, “that 23andMe’s general counsel, whom she understands was leading the negotiations with F.D.A., left the company this summer; [so] perhaps it fell through the cracks. “The whole time I was there,” Avey told Dobbs, “we were in an outreach mode with the F.D.A. I can’t imagine there was that much of a cultural shift since then. It might be they weren’t paying close attention.” She admits this sounds strange, Dobbs wrote, but thinks that it is no stranger than any other explanation. Look at what was at stake: the very future of the company, not to mention the option for consumers to have hundreds of thousands of their genes scanned for health-related variants. 23andme was the only remaining provider among the initial crop of consumer-focused companies to continue to offer these tests. But 23andme may also be borrowing a page from its investor Google in not necessarily attempting to resolve the tension with FDA but rather by trying to trump FDA’s factual and legal arguments with evidence of the utility of the data and widespread support of consumers who willingly share the data in order to see a bigger picture. How better to go into a regulatory or legal proceeding than to be armed with medical advances that were only made possible by data collection that, one could later argue, existed in a regulatory grey zone? Now that the initial thrust by 23andme has been parried by FDA, the company will face a much tougher road to getting its tests back on the market, if it ever does. But I would not underestimate the power behind the company, which might include the full force of Google, despite the public separation of Wojcicki and her husband, Google co-founder Sergei Brin. After all, Brin himself took an interest in the company when it revealed his increased risk for Parkinson’s disease, which he knew ran in his family. Furthermore, Anne Wojcicki’s sister, Susan Wojcicki, is Google’s senior vice president of ads and commerce. In addition to Facebook billionaire Yuri Milner and several venture capital firms, Google would appear to remain one of 23andme’s largest financial investors. Aside from Google, enough consumers believe that they have been helped by 23andme’s tests that a court case or at least an impassioned appearance at Congressional hearings might start to turn things around. The argument in favor of consumer genetics the way 23andme wants to practice it will be easier to make after there is overwhelming evidence in favor of its utility. I, for one, am not a customer. I have not been convinced that a 23andme test would do more for me than increase my anxiety about my genetic risks for a variety of ailments. In that regard, FDA has a point beyond a merely procedural one. A clinical trial showing an advantage to a genetic test such as 23andme’s would go a long way toward that test achieving acceptance among both regulators and consumers. 23andme might go away as a provider of medical data. (The company still provides genealogical services.) But its skirmish has paved the way for a fight that could take the better part of the next decade and might result in either radical reform (no more FDA regulation of consumers’ own genes at all?) or in the offshoring of genetic analysis, with all its benefits and pitfalls, to more lenient regulatory environments, whether those turn out to be in China, in Iceland or somewhere in between. Steve Dickman will be moderating a panel on Big Data in healthcare and drug discovery at Biotech Showcase in San Francisco on Jan. 14, 2014, at 8am Pacific time. He is CEO of consulting firm CBT Advisors, based in Cambridge, Massachusetts. Navigenics was acquired in 2012 by Life Technologies (now Thermo Fisher) and its consumer-facing business was shut down. DecodeME was discontinued before its parent, Iceland-based Decode, was acquired by Amgen in 2012. Pathway Genomics shied away from direct-to-consumer testing through Walgreens after a warning from FDA came in 2010. Note: A shorter version of this piece ran on Xconomy. The pharmaceutical industry needs better scientific models for testing drugs before they get to the proving ground of human clinical trials. Current lab dish models and animal testing models are time-consuming, expensive and chronically unable to predict which drugs are going to work in clinical trials. The industry is crying out for new modes of early testing that can shorten the timelines, reduce the cost and increase the odds of success in clinical trials. Both lab dish models and animal models have run into serious limitations. Cell culture (“in vitro”) assays offer some real advantages. Many can provide true, “human” answers to fairly simple questions. But they lack complexity. Therefore, due both to regulatory requirements and convention, pharmaceutical companies have for decades progressed their testing from cells into animals, where the testers can see the impact on an entire organism with all its interconnecting systems. But animal models are in some ways even worse. As Dylan Walsh pointed out in his timely New Yorker blog post last week, most animal testing – the kind done in rodents – is crude and ineffective, not to mention how it feels for the mice. The cosmetics and consumer products companies are in just as tough a bind. For them, safety is paramount but animal testing has been banned as of 2013 for products marketed in Europe and soon to be eliminated in China. If non-animal models that show safety became available, then L’Oreal, Proctor & Gamble and Unilever would be queuing up to use them. Fortunately, the reliance on this unfortunate patchwork might be about to crack. If cell models could be shown to predict efficacy in a reliable way, ineffective therapeutic candidates would fail faster – and cheaper. Better safety testing would drastically reduce the sacrifice of animals while yielding more predictive results. Here, though, any changes there would likely take many years due to the immense difficulty of making regulatory agencies like the US Food and Drug Administration comfortable with new regulations. These single-organ models are impressive. In October, 2013, the Wyss Institute signed a collaboration at undisclosed terms on the development of human and animal “organs-on-chips” for safety testing. In some cases, less sophisticated models in tissues such as liver and skin have already become industry standards. I wrote about these models, and the likely future of this field, here in 2009. More ambitious models are on the way. A US government initiative, which was showcased in an invitation-only symposium in Europe in September, 2012, recently put up $140 million to develop a network of ten “plug-and-play” organs that survive for four weeks and can, like Legos, be easily rearranged in different orders. One of these is in Berlin, Germany, where the company TissUse, a CBT Advisors client, is pioneering perhaps the most advanced of these efforts. Recognizing that the secret to mimicking complex biology in culture lies in a combination of organ architecture and live circulation, TissUse, spun out of Berlin’s Technical University in 2010, has built its platform around organoids, the minimal functional units of organs. These include liver lobules, skin segments, kidney nephrons and the lining of the intestine. They might eventually include pancreatic islets, where insulin is produced. These organoids can be bathed in appropriate nutrients, and have waste products taken away, at the same scale at which they are served by capillaries in the body. Scale is extremely important in biology. This effort to mimic the natural scale of organ biology makes the TissUse system both robust and modular. It’s not a perfect analogy, but organoids can be thought of as similar to the transistors that started to replace vacuum tubes in the 1950s. Transistors made modern electronics – laptops, mobile phones, tablets – possible. Similarly, organoids open up vast possibilities. The technologies for first creating them and then packing them optimally onto chips are still in their infancy. 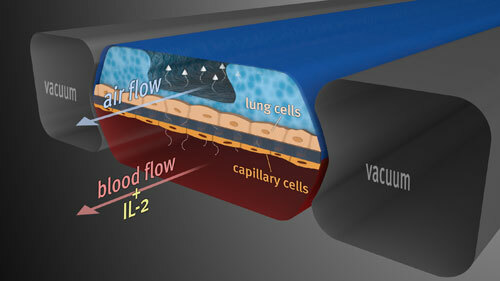 Putting multiple tissues – with all or most of their attendant cell types – into culture and connecting them with tiny “blood vessels” in a physiological order – first intestine and liver than all other organs – will require a virtuoso combination of architecture, engineering and biology, all done at micro (not nano) scale. No wonder we have not been able to find more than a couple of companies that are talking publicly about their work on the topic. Hemoshear of Charlottesville, Virginia, has set an emerging industry standard for “vascular pharmacology” by including the impact of dynamic blood flow on cells in culture. Founded in 2008 out of the nearby University of Virginia, Hemoshear was reported in 2012 to have ten biopharmaceutical industry customers. The company puts cells of different organs, most recently liver, into their dynamic systems that push blood past the liver cells. That allows them to get a high-quality look at liver toxicity, drug metabolism and drug-drug interactions. Aside from the useful combination of different organs with vasculature, the company has not reported multi-organ approaches, let alone organoid-based ones. Another interesting one is Zyoxel, based in Oxfordshire in Great Britain. Zyoxel was founded by Zhanfeng Cui of the University of Oxford based on technology from Cui’s lab and the lab of Linda Griffith of MIT. The Zyoxel chip is liver-only. That is the single-organ focus of many in vitro testing companies that have created “3D liver” systems. According to the web site, the Zyoxel chip’s key distinguishing feature is “a scaffold whose dimensions have been engineered to recreate the capillary bed structure of the liver sinusoid.” That approach sounds promising and it will become even more so once scientists have actually shown that they can grow the capillaries on the chip. Eleven organs – the true “human” on chip? By comparison, the science at TissUse is both advanced and extremely ambitious. 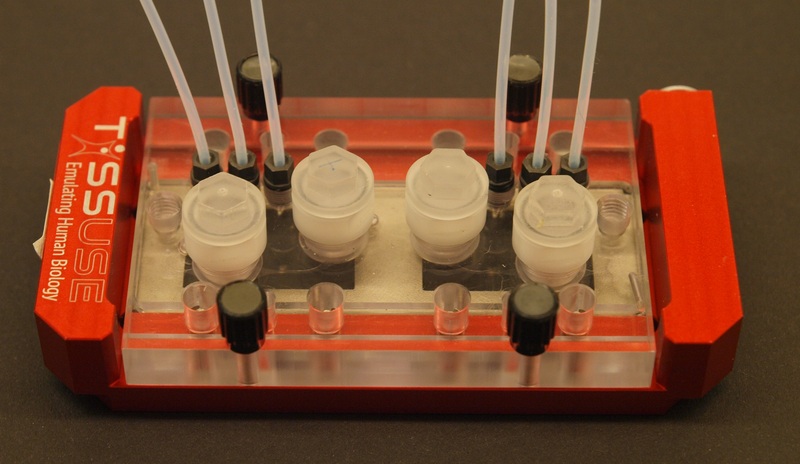 The early TissUse chips feature a combination of organs, liver and skin, connected with channels that circulate culture medium and, soon, human blood that moves through “vessels” comprised of endothelial cells that will grow directly inside the channels. Liver and skin were chosen in part because they are the most complex single-organ systems currently in use in vitro. Moreover, liver is the gatekeeper for oral drugs entering the bloodstream and skin is the gatekeeper for cosmetics. TissUse is tying them together both because the company has strong expertise in both but also because they can create some interesting and useful models with them, for example, models that allow them to study potential liver toxicity of skin-penetrating chemicals or skin sensitivity to liver metabolites of drugs. Furthermore, such a combination allows TissUse to study distribution, metabolism and toxicity, three components of the “ADMET” profile of a substance, which is the basis of current safety testing in animals. “ADMET” stands for absorption, distribution, metabolism, excretion and toxicity. Used singly, both liver & skin have severe limitations. TissUse is trying to remedy these. Most of the company’s work is not yet published but one observation is that liver cells, when encouraged to form organoids and then combined with skin tissues, can live in homeostasis for a long time. This allows the company to conduct extended repeat-dose testing over weeks, much longer than the current standard of several days for single-dose drug testing on liver or skin cell culture routinely performed today in industry. The practical time limit for culturing liver organoids in the TissUse system has not yet been reached. Early published results point to a time frame of at least 28 days. 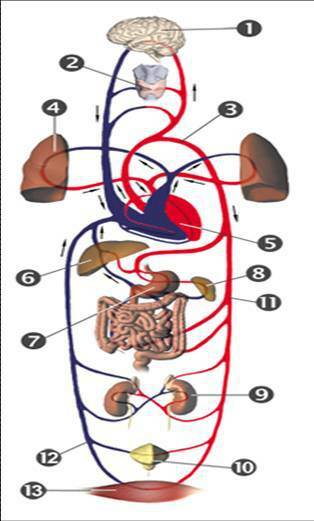 The powerful nature of TissUse’s system becomes evident when you consider the next step: to test “A” and “E,” adsorption and excretion, all you have to do is add intestine and nephrons from the kidney. The company is already working on doing just that. Eventually, TissUse’s founder-CEO Uwe Marx envisions up to eleven organs connected by “blood vessels” on the company’s chips. The initial chip design takes that goal into account. Head-to-head data is starting to emerge comparing multi-organ chips with standard efficacy and toxicity assays. That will prove their predictive ability. Such a system will then address industry’s need for verisimilitude in therapeutics and cosmetics testing without sacrificing animals or accuracy. Another level of utility not yet addressed by TissUse but surely on the horizon is patient-specific testing of medications outside the body using iPS cells (inducible pluripotent stem cells). Scientists create these cells from human skin or other tissues and “reprogram” them to become cells of almost any tissue. Companies such as Cellular Dynamics in Madison, Wisconsin, are already beginning to deliver large quantities of iPS cells on an industrial scale and with pharmaceutical quality controls in place. In my view, that source of supply alone is a game-changer for drug testing. The company had a surprisingly strong IPO given the “picks-and-shovels” nature of its business, probably because its revenues are growing nicely. It won’t be long, I predict, before innovative companies start to offer outside-the-body testing especially for patients with chronic or long-term diseases who can therefore afford to wait to have their cells custom-grown. But without the multi-organ and organoid-based nature of TissUse’s technology, it is hard to see that patient-focused business reaching its full potential. Indeed, a company called iPierian backed by the illustrious US venture firm Kleiner Perkins and other top VC firms was founded in part to industrialize just such iPS-cell-based, patient-centric disease models. 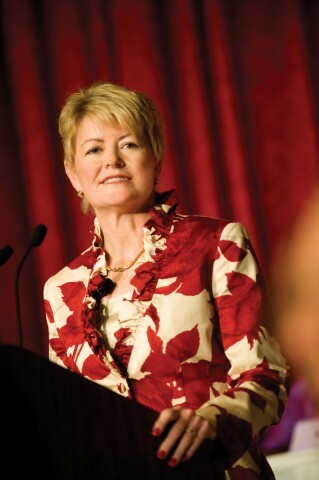 I heard iPierian’s then-CEO John Walker describe this approach a talk at an investor conference in 2010 and it was captured in this 2010 blog post on Xconomy by Luke Timmerman. That company has since changed its business model and I have not heard of others. Forward-minded venture investor Founders Fund of San Francisco laments the “medieval” approach used in traditional pharmaceutical discovery. The right sources of capital combined with the right industry partnerships, both currently emerging, might give Hurel, Hemoshear, Zyoxel, TissUse and other companies a path to preclinical testing that is both more accurate and more humane. Disclosure: TissUse is a client of CBT Advisors. Foundation Medicine, the Cambridge, MA-based cancer diagnostic company, reminded me of the 2000 genomics bubble when it went public this week. The company sold its IPO shares at $18, and the stock almost doubled in its first day of trading, closing at $35.35, a 96% increase in stock price off an already bumped-up IPO price. That gives the company a market value of almost $1 billion. First day froth? Or sustainable value creation? Foundation faces a long road but I am inclined to take the optimistic view. Genome sequencing is a powerful technology that has declined so much in price, so fast, that it has outpaced Moore’s law. The real value in sequencing is not the raw data, which are becoming a commodity, but rather the interpretation of that data for specific patients. In ways I will explain below, Foundation sits just at the nexus of that new data and its own increasingly powerful interpretation engine. My second take-home is that the large fundraising gives the company a greater survivability in the absence (until now) of reimbursement. You don’t have to read the prospectus to know that one of the key risk factors for FMI is the lack of buy-in from payers. As Ben Fidler of Xconomy wrote, “Foundation began selling its diagnostic, known as FoundationOne, at the American Society of Clinical Oncologists in June, 2012. And while demand has been rampant—-some 1,500 physicians in about 25 countries have ordered the test since—FoundationOne isn’t covered by any plan. Rather, coverage is determined on a case-by-case basis, meaning the company is likely going to have to gather meaningful evidence from clinical trials to prove to payers that its test is making a big difference for patients.” Reimbursement is still a hurdle, probably the biggest. Hold a big IPO and voila – funding is there for these trials. Personally, I am thrilled that Foundation’s approach reflects a strong shift toward using personal genetic tests (in this case whole genome sequencing) to drive medical care. The term “personalized medicine” has been overused for so long as to become a sad cliché. But changing a patient’s treatment based on a genetic test and especially initiating a treatment that would otherwise not have even been considered – that is a watershed. An idea like Foundation’s, in which you scan the genome of an individual patient for variations in more than 200 genes, is a medical reality today that was barely even conceivable five years ago. Furthermore, Foundation is barely dependent on its test revenues at the moment. The bulk of its revenues (something like 85%, I’ve heard) still come from partnerships with pharmaceutical companies. Its investors, both private and public, may well grant Foundation the time it will need to achieve reimbursement and make a compelling case to enough physicians to drive test adoption and growth. Critics have correctly observed that there is little evidence for the utility of most of the genes on Foundation’s first panel, FoundationOne. Something like two hundred genes are assayed when barely twenty are known to be drivers of cancer. As I understand it, this is where Foundation’s entrepreneurial strategy comes into play. By aggregating data on the next 180 genes rather than focusing just on the 20 genes of known relevance to cancer patients, Foundation hopes to bring a much greater degree of clarity and utility to cancer therapy, which has traditionally been based on a brutal process of trial-and-error. Many patients (and their physicians) don’t have enough time or scientific insight to go through a series of single-gene diagnostic tests to find out which drug might be best for them. Even if patients demanded this one-at-a-time approach, it is not at all part of current medical practice. For the sake of cancer patients, I hope Foundation Medicine succeeds with its broader approach. Critics have also observed that Foundation’s business model is predicated on the company being paid $5,000 or more for a test (according to Xconomy, recently out-of-pocket payment by patients or one-off payments from insurers have been running more at the $3,800 level). But the cost of sequencing is very low! Can’t the test be less expensive? Where does all that money go? The answer, to me, is clear: the money goes to research. The model reminds me of crowdsourcing, a funding mechanism that has just become a viable mechanism for funding biotech companies. In Foundation’s case, it is a way to raise money from people who have a real need (cancer patients), provide them with sufficient value (sequences of genes with known implications for cancer therapy) and then increase the incremental value of the test for the next round of patients. To succeed, this approach has to scale. That is, insights obtained from the first 3,000 patients have to become more valuable for the next 30,000 and so on. There have to be increasing returns or else there will be a backlash at the level of pricing and adoption. In the absence of reimbursement, the only way to make this work is to raise a lot of money (through IPOs, secondary share offerings, pharmaceutical industry partnerships, self-pay from patients, international adoption or whatever) and pour it back into the company. The field of genomics spent several years wandering in the wilderness of “genome-wide association studies” (GWAS) which were supposed to identify canonical mutations that affected large numbers of individuals. That barely turned out to be the case. Now mutation hunters have come to the opposite conclusion: it is individual mutations, perhaps even those with an “n” of just one person, that will matter the most in improving cancer therapy. The company or entity that builds the largest database of these mutations – and applies them in cases where there is an “n” of two or 20 – will become a go-to source for insight into specific patients’ cancers. There are three dangers here: first, that scaling cannot be achieved quickly enough to justify reimbursement. The tests Foundation is doing are by their very nature outside of the parameters such as sensitivity and specificity that are traditional metrics for payers. So their results have to be so overwhelmingly good that payers change the rules in order to reimburse for the tests. That is likely to happen slowly if it happens at all. Second, unless great insights arise from the additional genes, Foundation – with no real intellectual property on the content of its assay – will fall prey to commodity entrants offering tests at much lower price points. That is reminiscent of the dynamic I see playing out in non-invasive prenatal testing (NIPT). Third, what if Foundation succeeds and gains insights from its database (paid for by patients) that lead to a true competitive advantage? Won’t there be a clamor for public release of Foundation’s data, similar to what happened when Myriad Genetics lost its Supreme Court case and no longer had patent coverage over its BRCA1/2 test? It will be interesting to see this play out. In my view, Foundation’s IPO is a turning point that will only boost the many efforts to make the genome a powerful ally in the fight against cancer. Given the massive drop in sequencing costs and today’s vote of confidence, it will not take too long for similar insights into other diseases to follow. The new landscape for venture capital investing does not seem to leave much room for classic company formation. Investor after investor has shut down or moved beyond startups into what seem like greener pastures. So it should come as no surprise that at least a few VC firms are now expanding into the royalty space, as shown by a deal announced this week. Aisling Capital and Clarus Ventures, two top-tier VC firms, acquired 20 percent of the royalty stream created by sales of ibrutinib, a novel tyrosine kinase inhibitor developed by Pharmacyclics (NASDAQ: PCYC) and partnered with Johnson & Johnson (NYSE: JNJ) for use in B-cell malignancies such as chronic lymphocytic leukemia (CLL). According to the press release, Aisling and Clarus each invested $48.5 million for matching 10 percent shares of a $485 million royalty-financing deal that Royalty Pharma struck last month with Quest Diagnostics Inc. (NASDAQ: DGX). Ibrutinib recently was designated by FDA as a “breakthrough” therapy. Analysts cited by FierceBiotech expect the drug to hit $5 billion in revenues in a short time, making the royalty stream very valuable. Under a deal structured like this, Aisling and Clarus are essentially wagering that the drug will be a blockbuster, and will provide them much more than $48.5 million in steady royalties over the lifetime of the product’s patent – if they or their limited partners do not choose to take profits first. It would not surprise me to see some of the royalties later bought back at higher prices by Royalty Pharma or acquired by third parties. There is no doubt in my mind that the choice to invest in royalties had to be explicitly approved by the funds’ limited partners (LPs), either in the fund charter or, more likely, in an ad hoc fashion before this deal was done. I can’t imagine there was much resistance when the Aisling and Clarus general partners described the risk-reward in the ibrutinib deal. The LPs probably asked them to do more of this type of investing, given the product’s high-reward/low-risk profile. The announcement answered two questions in my mind: first, what will VC funds do now that the returns make it harder to justify raising more money to support traditional models? Second, what will royalty funds do to make money now that they are facing a more efficient (read: barbarously competitive) market for the royalties of approved drugs? In some ways this deal looks like a one-off: maturing VC funds that need to deploy large amounts of capital setting themselves up for near-term (if more modest) returns in lieu of typical home-run, long-term bets on early-stage biotech. Once they get a few of these out of their system, the VCs will swing back to their true nature as swashbuckling, entrepreneurial investors, right? I am not so sure. In fact, I would argue that actually the royalty play illustrates the “new normal” in life sciences VC investing: a search for investments with short time horizons; a lack of faith in preclinical or even phase I molecules and the teams developing them; and an irresistible pull to “sure-fire” deals of a more financial nature. These are the same trends that have led to the rise of the asset-based strategies deployed by life science VC funds like Atlas Venture and Index Ventures. Those strategies build portfolios of assets, rather than management teams, and flexibly deploy those teams in ways that can be changed depending on the success of the molecules. The trends have also led to a much more active market in secondary positions of VC funds. In secondary investing, funds buy up positions in VC-backed companies. They buy them either from general partners who are exiting the business or choosing not to manage older funds all the way to exit; or from limited partners who prefer up-front cash to hoping for later exits from their illiquid VC investments. Sales in the secondary market of overall private equity investments, including those in venture capital, were reported to hit a record $26 billion in 2012. Some long-time VCs have told me recently that their firms are promising limited partners to do secondary investing as part of their core business, just as secondary funds such as Omega Funds have branched out into direct investing. Whereas royalty investing is more of a numbers game, secondary investing to me feels like a true hybrid of VC skills (assessing value in early-stage or mid-stage companies and managing portfolios of such investments skillfully) and financial engineering skills (pricing the portfolios well enough to stave off competition and still leave room for an arbitrage). Late last year, a client approached my firm CBT Advisors and asked us to make a case for investing in life sciences venture capital. The client, a family office with a private equity bent, was preparing to deploy some capital in life sciences and wanted to know what strategy made the most sense for a potential limited partner. CBT Advisors teamed up with Fred Meyer, another Boston-area consultant, and the team carried out some strategic and financial analysis based on our knowledge of the industry and on the limited available data. The upshot of our work: there are several alternatives, including secondary investments, that can provide what look like better returns than VC (especially when considering the 10-year historical figures) at what looks like considerably less risk. One of the approaches on our list was royalty investing. We concluded that, strictly from a risk/return perspective, royalty firms were a very attractive way to participate in pharmaceutical finance. Royalty Pharma, in particular, has built a stellar track record investing in the royalties on marketed drugs such as sitagliptin (Januvia), a diabetes drug from Merck that accounted for $5.7 billion in revenue in 2012 and adalimumab (Humira), a treatment from AbbVie for autoimmune diseases that recently hit $9.3 billion in annual revenue, making it one of the best-selling drugs of all time. But Royalty is at some risk of becoming a victim of its own success. The fund, which had little competition when it was founded in 1996, has grown to over $10 billion in assets, and it is facing a much more competitive market for royalty streams of approved drugs. So the announcement of what is, according to VentureWire (paywall), one of Royalty’s first three investments in a not-yet-approved drug was not a total surprise. Today’s press release completes the picture. Royalty Pharma got an assist on the due diligence on ibrutinib from Aisling and Clarus and the VC funds got a piece of the action. Where does this all end? To me, it does not spell the end of VC as we know it. To the contrary. Even those investors (like Aisling and Clarus) making headlines for investing in royalties are still actively looking at direct investments into startups and (especially) later-stage companies. At the end of the day, most venture capitalists like these funds who have made it to 2013 with any dry powder at all are in a position to make the case that early-stage, high-risk investing will continue to play out well for selected investors. The recent wide-open biotech IPO window has certainly bolstered their case. Part of my argument has to do with both the skill sets and the personal wishes of VCs, who are usually more adept at (and more interested in) the messy reality of picking management teams, intellectual property and assets that will make companies work instead of primarily crunching the numbers. Many VCs would rather find other jobs if all that was left in VC was financial analysis. But more of it has to do with the returns. When I look at the stellar track records of folks who have recently raised funds (Jean George, Mike Carusi, Jim Broderick, Chris Christofferson and Hank Plain of Lightstone Ventures; Martin Murphy of Syncona), I am encouraged in thinking that royalty investing is just one of many ways that VCs are finding to raise new funds that they hope will make money for investors. First, the ibrutinib deal has to go well, along with others like it that are undoubtedly in the works. At least in this case, the likelihood of ibrutinib becoming a commercial success is high and the timeline is short. If the drug and deal do, in fact, succeed, then the benefits will accrue to the entire ecosystem. VentureWire (paywall) quoted Clarus managing director Nick Simon saying that Clarus invests “opportunistically” in royalties and that late last decade, Clarus had obtained a royalty interest in Lexiscan, a medication used in cardiac stress testing, and later sold that interest to Royalty Pharma.